For women's cricket to come out of the shadow of the men's game, T20 is the way forward and a separate Indian Premier League (IPL) for the eves will be a major step towards it, feels Australian captain Meg Lanning. 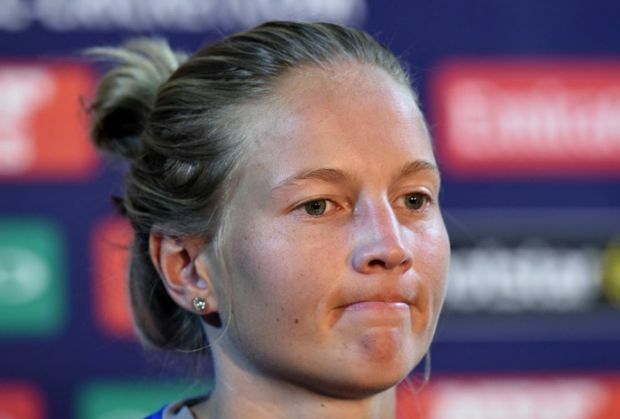 Lanning's views echoed the sentiments of England captain Charlotte Edwards and India skipper Mithali Raj, who have suggested a similar initiative. Australia are eyeing a record fourth World Twenty20 title as they take on the West Indies in the summit clash in Kolkata on 3 April. "It is certainly a very exciting form of the game. It creates a great atmosphere and people want to watch it. T20 has been the vehicle of women's cricket for last few years. We love playing Test when we get a chance and we love playing more. There's no doubt T20 is the way forward for the women's game," the Australian skipper said. The women's foray in the Big Bash League (BBL) recently was a huge success and Lanning said a similar initiative can be replicated in the lucrative IPL. "We've seen women's BBL kick-off to good success in Australia. There's Super League in England as well. If there was an IPL for women here to be started, it will take the game forward and players will love to be involved in." Australia are up against a marauding West Indies but Lanning said they are ready for the challenge. "We really pride ourselves. The West Indies certainly have number of players who can take the game away. We've certainly done the homework on the big players. Certainly we're not thinking they're going to win the game for them. We're a settled team, we have been playing some good cricket," said Lanning. "It's not just about defending it. We're here to win it just like every other side. Tomorrow is a new day and we have to start from the scratch. Nothing that happened before really matters. Want to start off well." Lanning, however, did not underestimate the West Indies who will be playing their maiden final on 3 April. "West Indies are playing some good cricket. We are expecting a tough battle tomorrow. The West Indies will certainly look to come out firing, so we are ready for the challenge. We are going to make sure we will do everything right from the start," she added. At a time the World Twenty20 title has eluded the Australian men's team, the women's team has done far better, winning it three successive times in 2010, but Lanning said they're not here to compete against Steve Smith and Co.
"I don't think so (bragging rights). The men's team has been very successful over the past of couple of years doing well in Tests and winning the ODI World Cup as well. They played some good cricket here but could not get over the line. Virat Kohli took it away from us. They're very successful. We're certainly not competing with them," concluded Lanning.